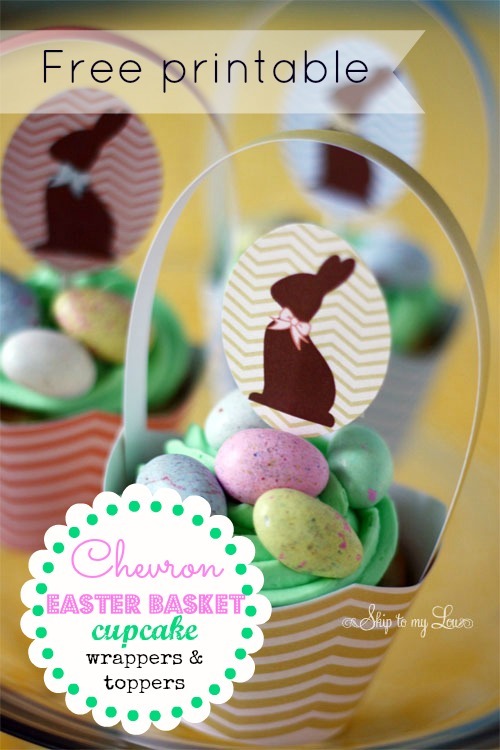 Use a 2″ oval punch for the chocolate bunny cupcake topper. Tape the egg shape to a white sucker stick. Use a glue stick to fasten the ends of the cupcake wrapper and to attach the basket handle to the inside of the wrapper. Silly question, but what about the bottom? Cindy, i love them. So cute. Welcome thanks for stopping in! These are so cute. Thanks for the choices of color! Cindy these are so cute!!!! I love them!